Ninth grade English students played with GoAnimate, creating animated screenplays based on the concept of conflict and resolution. Upper School Spanish students designed graphic novels via Pixton. 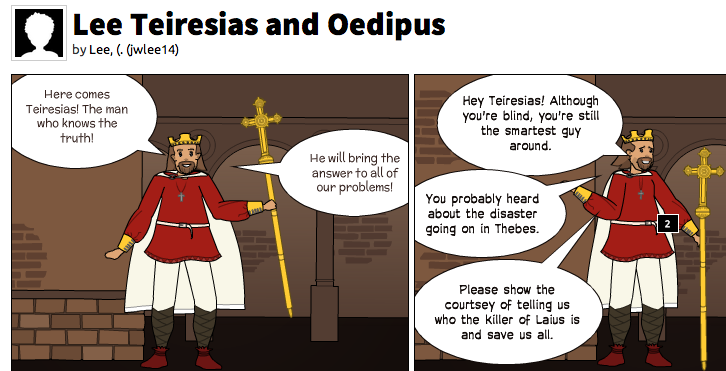 Upper School English students used Pixton to storyboard a scene from Oedipus Rex. This entry was posted in Featured App, Humanities, Teaching and tagged edtech, Featured App, Humanities, SHTEM. Bookmark the permalink.